There has been some criticism of the hashtag #JeSuisCharlie in the past few days and I thought I would write why I chose to put it on both my twitter and my blog. Those who criticise it state that they are not Charlie because often Charlie Hebdo's cartoons were offensive and in several instances misogynistic. I agree. Before I tweeted or put up on my blog I went and looked at several of the cartoons I could find online. And although my French is extremely limited I can agree in the criticism. They are offensive. They are misogynistic. For me, if I were to say that they can't print cartoons that are offensive or misogynistic then I am in some respect saying that some things shouldn't be published. And to me that is censorship. I won't be buying the books that will undoubtedly be coming out with the killed men's cartoons. But I will absolutely fight for their and others right to draw those cartoons. Just as I will protest against misogyny. Because it is by showing WHY they are wrong we can stop it. 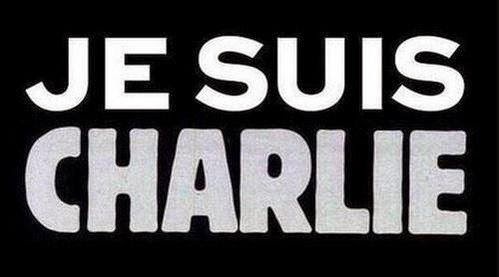 I am Charlie not because I agree with their cartoons, but because no one should be killed for their opinions. No one should be killed because they say something offensive. The correct way of dealing with something offensive is to have a dialogue about why it is offensive.